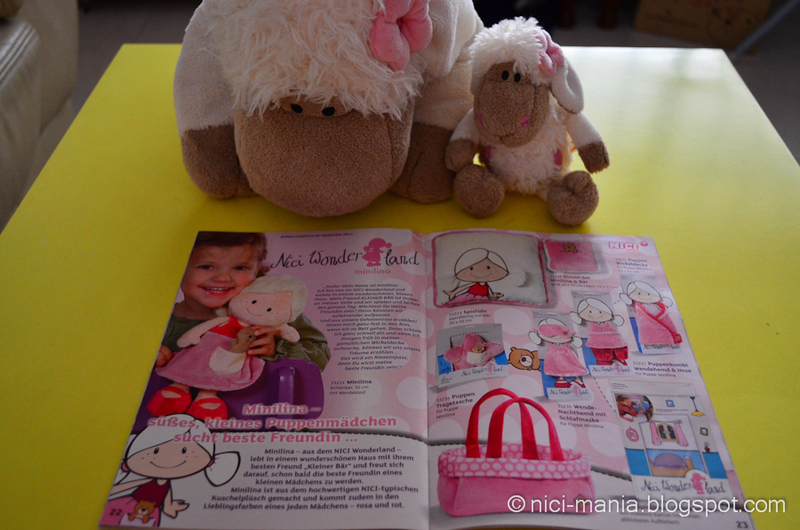 A few weeks ago, Jolly Rosa logged on to nici.de and ordered a NICI brochure from the website. 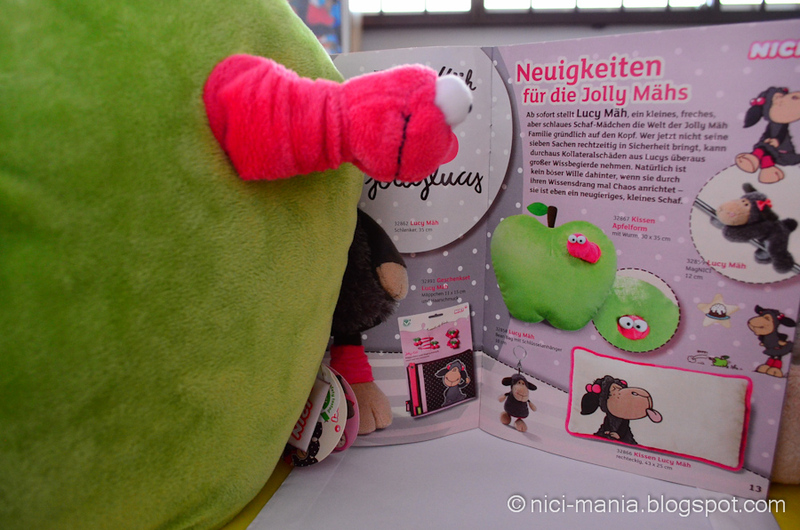 After getting an order confirmation for our NICI brochure, Jolly Rosa waited and pondered and waited for the mail to arrive from NICI Germany. 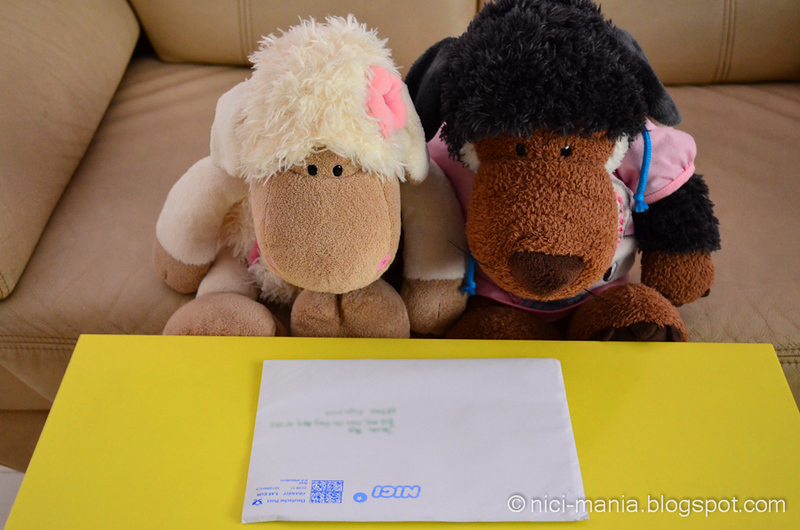 Finally after 3 weeks, the postman dropped us mail with a NICI logo on the envelop! 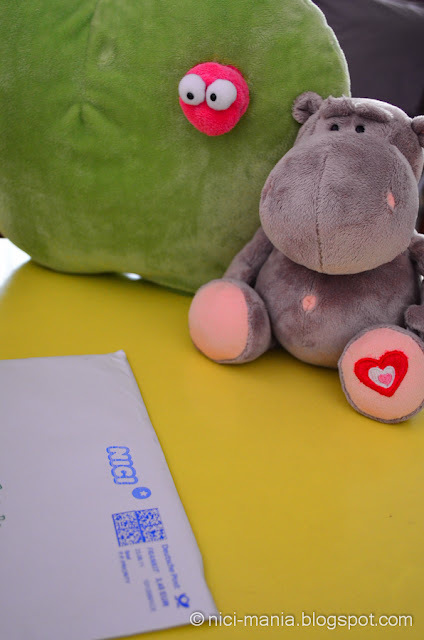 Jolly Rosa and Hugo Wolf are so excited to receive a mail from NICI. Candy Love Hippo and Green apple heard about the excitement and came to check out the mail from NICI Germany. 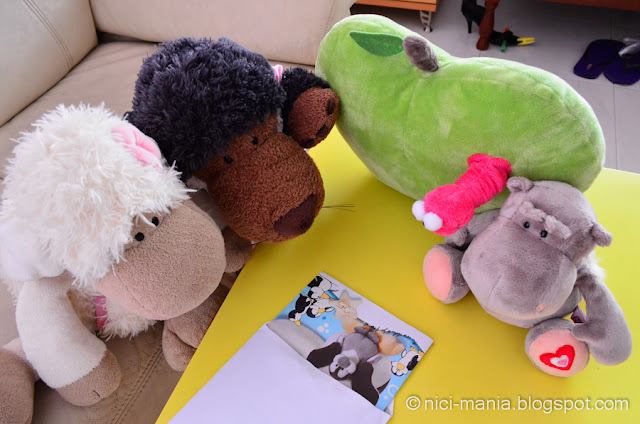 Our NICI plush opened the envelop up and saw a penguin! 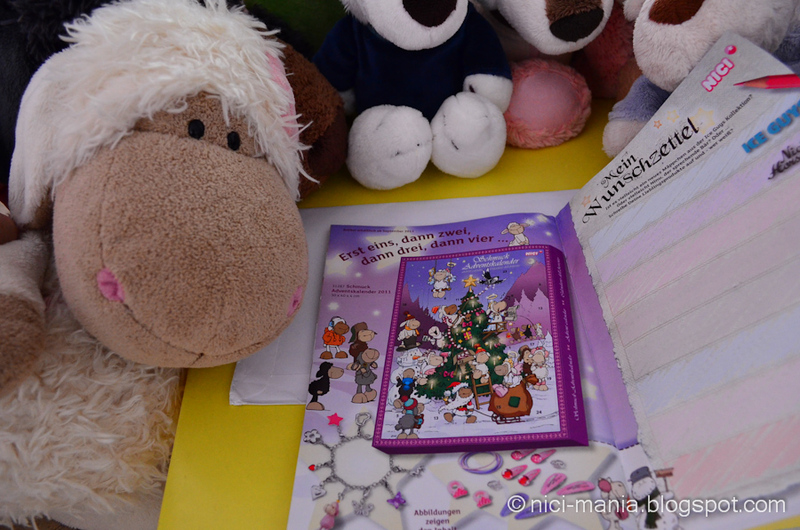 Yes it is the NICI brochure we ordered from Germany!! Jolly Rosa is so exhilarated that the NICI brochure flew more than 6000 miles from Germany to reach here safely in her hands. This is the latest Autumn/Winter series brochure from NICI. 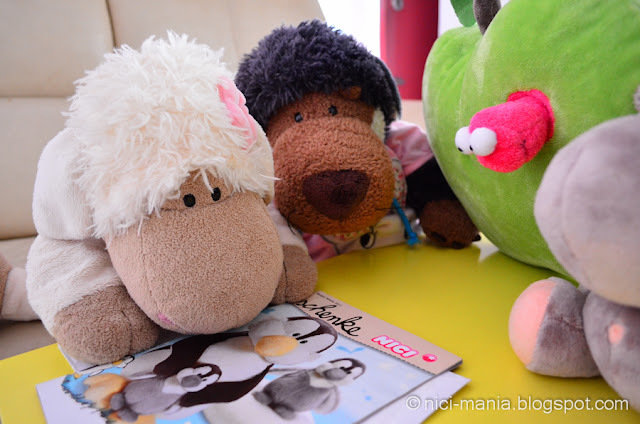 As we glazed into the first page of the NICI brochure, Happy Birthday Jolly Mah sheep glanced upon our eyes. It is kind of reminding us that there is only a limited 2500 of them. 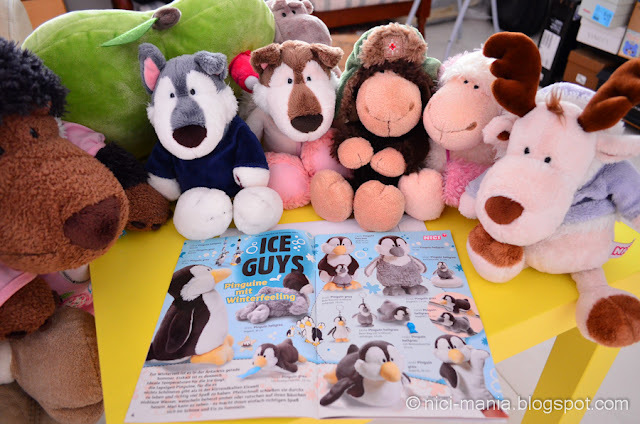 Next in the NICI brochure is the NICI Ice Guys which then lured all our Winter Friends to gather around looking at their future friend. These penguins are cute aren't they? 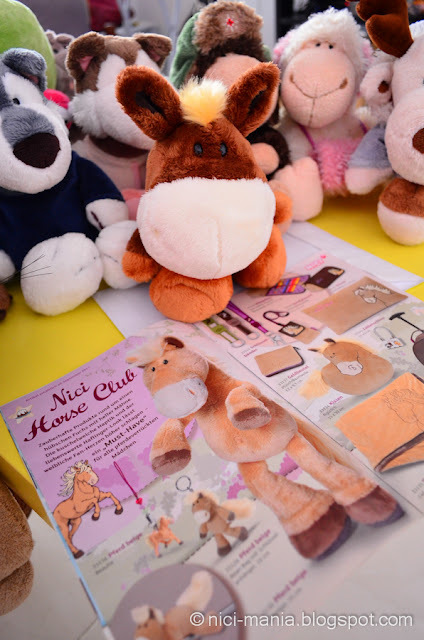 A newer version of the NICI horse club! Edward minily looks at his horse friend thinking, this newer design is much cuter than the previous NICI horse club horses. NICI Bubbles 2 is going to be released soon! We haven't even got the first NICI Bubbles yet! It's Jolly Lucy's page! Our green apple worm stares at himself in the brochure. 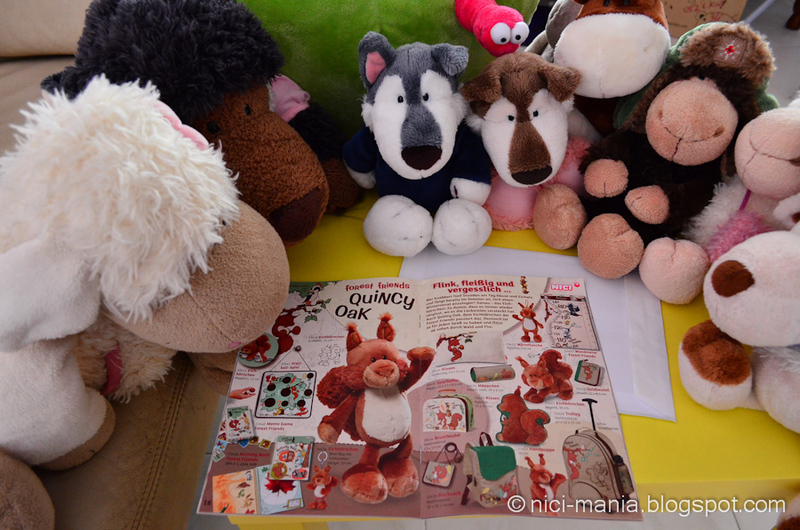 NICI Forest Friends Quincy Oak is already selling in NICI shops now. NICI Elephant and Monkey next. The elephant is very adorable, he is right next on the list to join our family. NICI Castle Friends is for the NICI Halloween series, they are definitely more towards cute than spooky! NICI Wonderland is a cute little girly doll looking for a best friend. NICI Talking Bear! 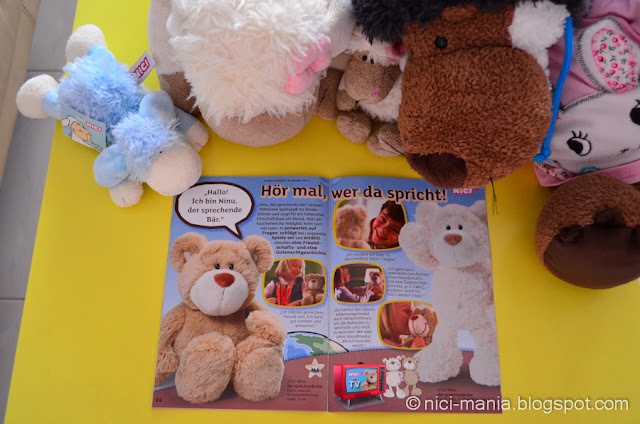 I think Ninu the talking bear only speaks in German. 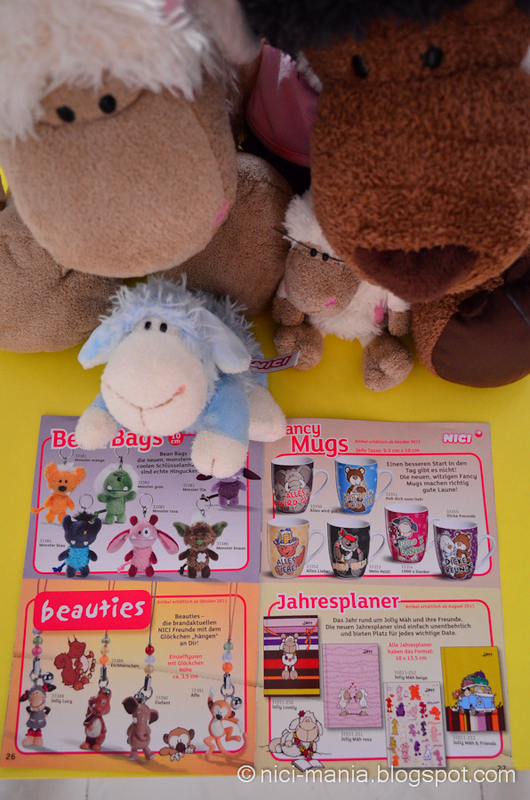 NICI Beauties, NICI Bean Bags, Fancy Mugs and NICI Year Planner. 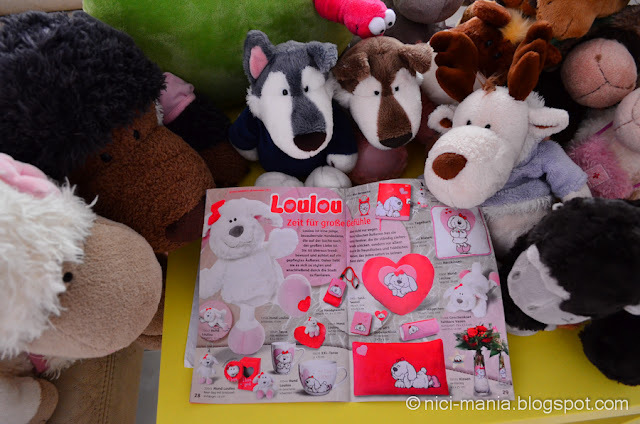 NICI Loulou is a cute doggie, probably for next year's Valentine's Day, isn't it a bit too early for Valentine? NICI Calendar and Jewellery. That's it for the autumn/winter NICI brochure. 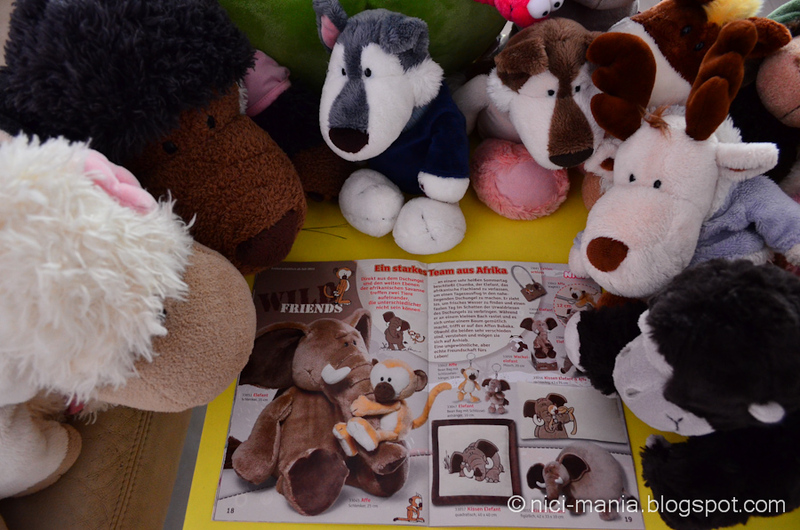 You can order the NICI brochure right here but the language is only in German. Wow.. You got the brochure already.. I ordered it too but it hasn't come until now.. Sob sob..
@NICI-Wildfriends: They send by priority mail, it should be pretty fast. I'm not sure why it takes so long! is the brochure will send to u monthly? envy~~~~ by the way, the new store in Malaysia is only 15% discount for MYR50 and above for members only! members is foc! @Celeste Ling: Hi Celeste, thanks for stopping by! We already have the member card. 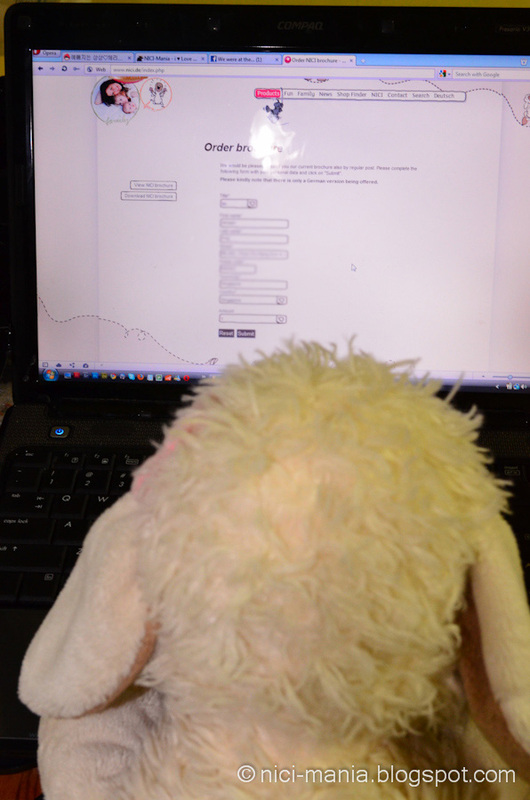 Did you get the 15% member discount in additional to the 10% storewide discount? 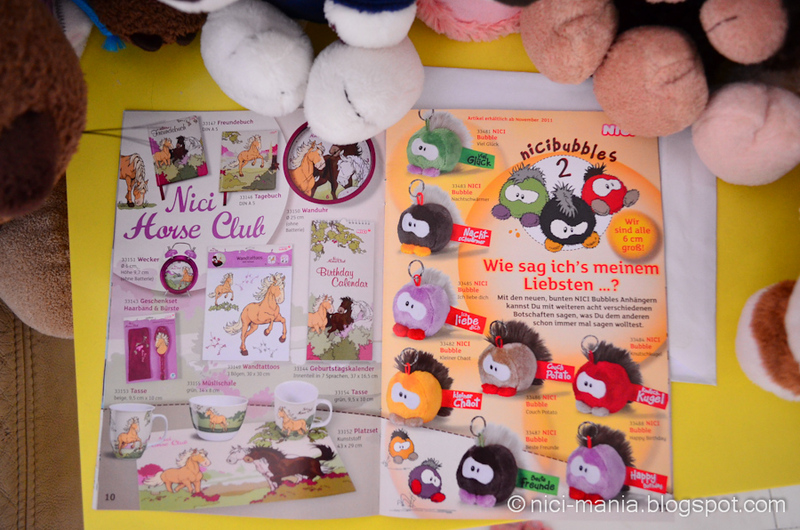 You can order the NICI brochure from nici.de website here. Once you fill in your address they will send it to you. They only have spring/summer or autumn/winter brochures. no no... only 15% for members! no additional! Wow, so much excitement with this new brochure. Your flock is so humble and enthusiastic. I loved the picture of the worm looking at himself! How did you get the discount? I always order online (nici.de), and have asked for discount multiple times, they never gave it. O, and just one comment, maybe you didn't know it: the link that is attached to your name (nicimania), with which you signed my weblog yesterday, leads to a website/weblog that doesn't exist any more: nicimania.wordpress.com Wouldn't you want to change that adress to nici-mania.blogspot? This way more people can find you perhaps. @potamotrygorgeous: Thanks! The problem is solved. 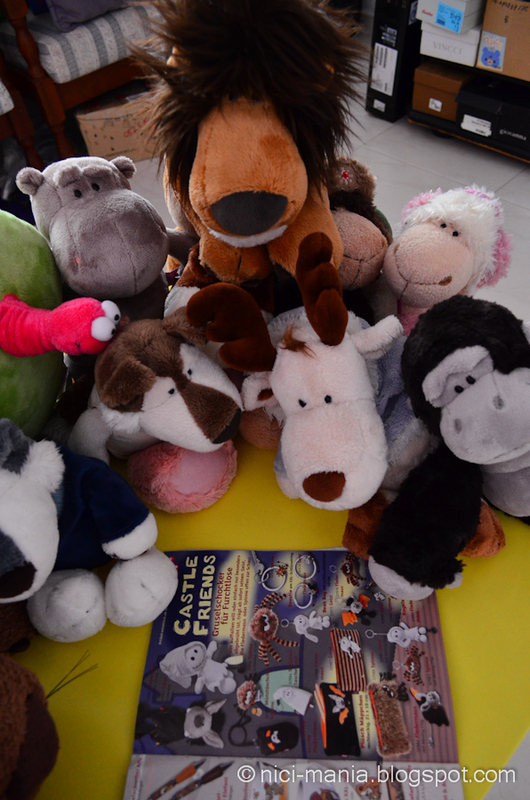 By the way, the discount was given by our local NICI shop. I think it really depends on individual countries. 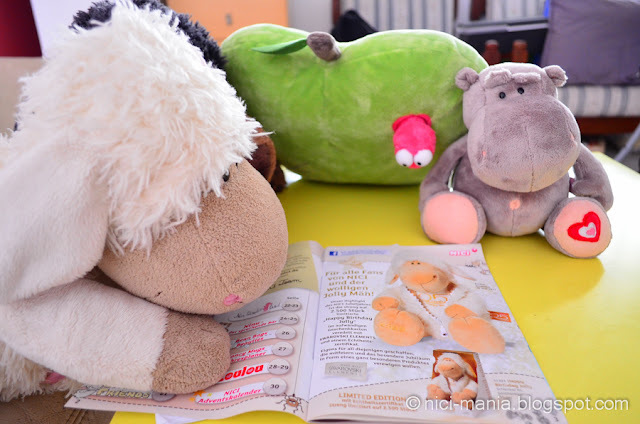 NICI in Malaysia is not exactly very popular as it is so much more expensive than most other soft toys we can get locally. They have to dish out memberships and discounts to attract more sales. Good for NICI collectors! @Celeste Ling: Thanks for correcting us with your info! 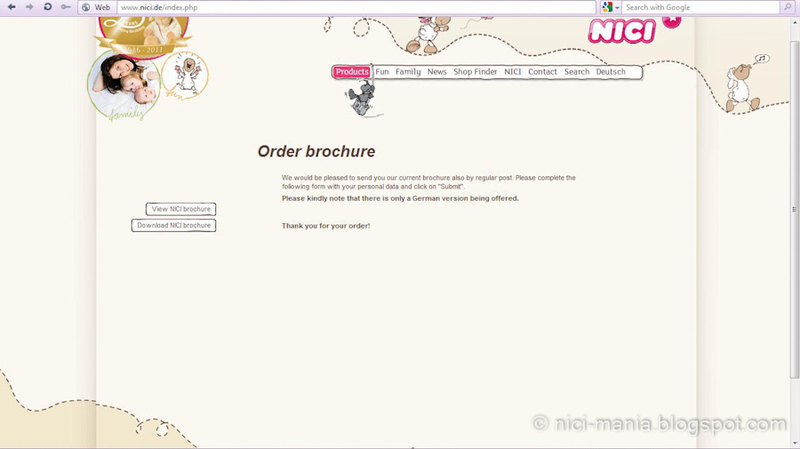 *sobs* For the NICI brochure, you can leave the country at ABC islands and type your address as usual then in the Town/City column, put Malaysia! 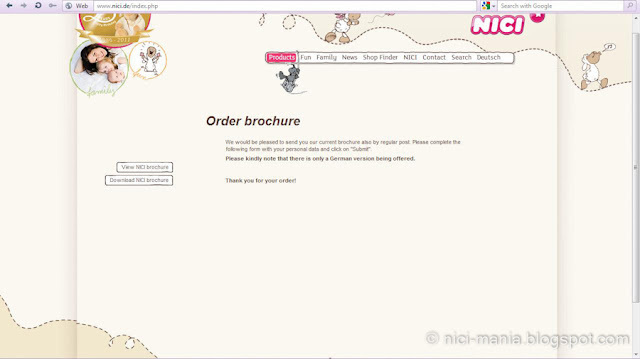 I want to order the Nici Brochure too. How much it costs, or it's for free?